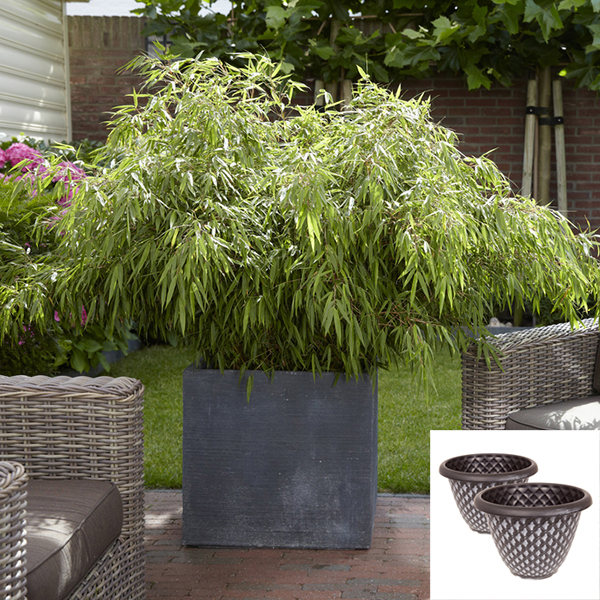 Bring Eastern charm to your garden with this pair of Fargesia Bamboos in attractive silver pinecone planters. 'Fargesia' is one of the best types, as it is short, and has many small canes, and a much more delicate appearance than more thuggish members of the family. 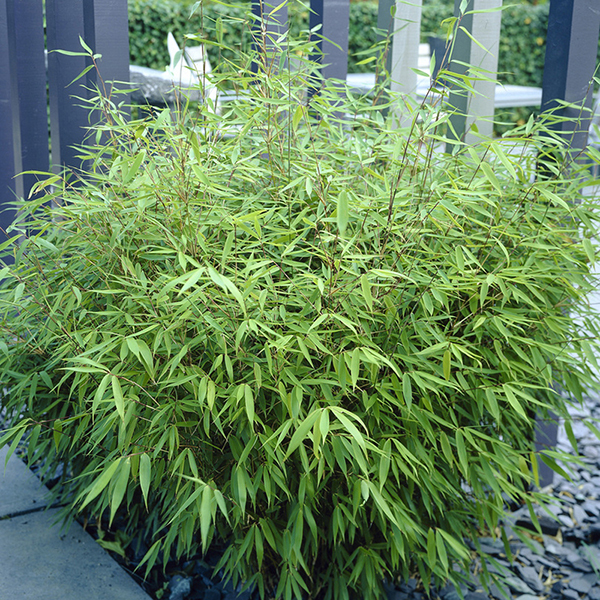 A relatively newly introduced dwarf bamboo, it produces masses of new culms (as the new shoots are called), which have a rusty tinge. They then green up, and unfurl masses of tiny thin green leaves, which are evergreen so last all year round. The canes are very slender and thin, so they gently arch over, hence it's common name of 'Fountain Bamboo'. 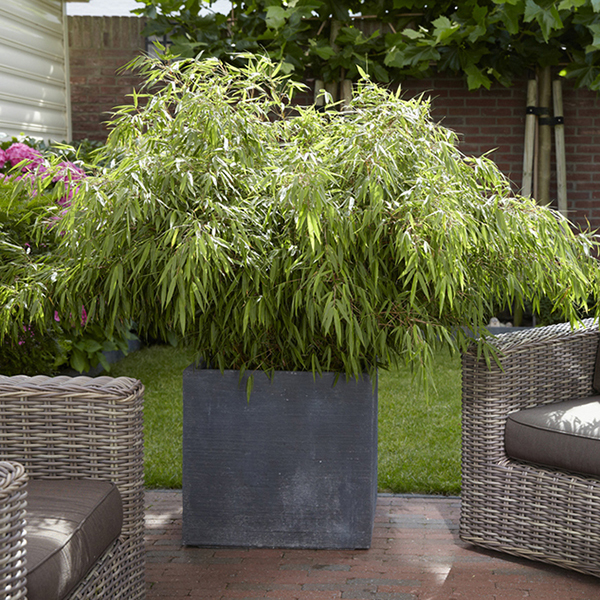 They are spectacular in big pots on the patio, and an ideal bamboo for small gardens. They also form a neat, dense and easy-care non-trim hedge, reaching 2M and no more over many years. Plant them where the sun can shine through the canes, or where you can see or hear the breeze gently wafting and rustling through all year - a very sensual plant indeed. 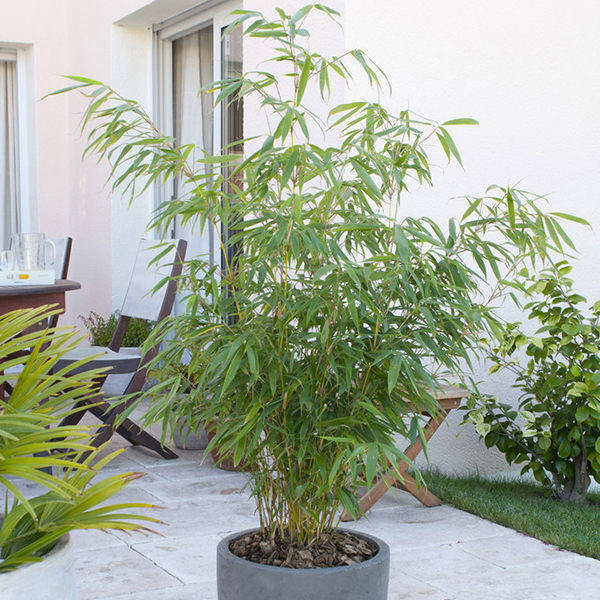 This pair of bamboos also come complete with a pair of our large, hand-finished silver pinecone planters that are made from UV and weather resistant plastic thats tough and durable but very stylish looking. 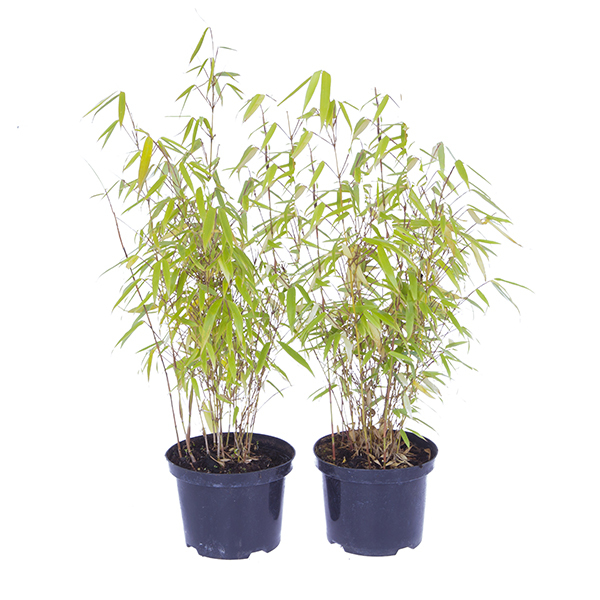 Supplied as: A pair of 2L pot grown bamboos approx. 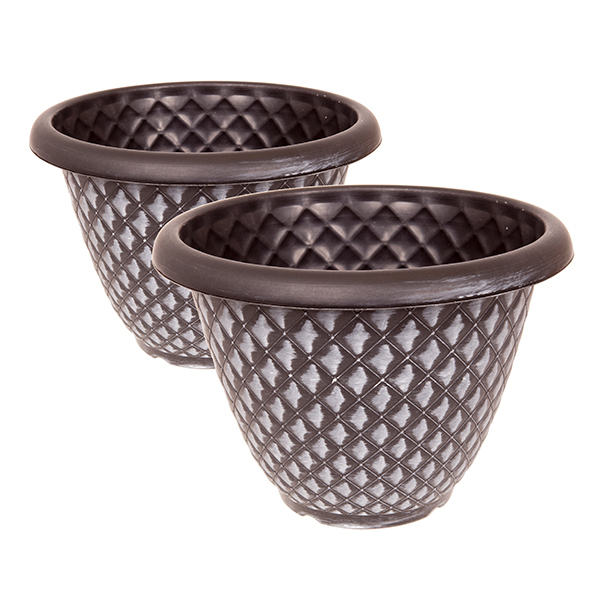 60-70cm ready to pot on or plant out with a pair of 33cm (13in) diameter large, hand-finished silver pinecone planters.